Welcome to Father’s Day weekend! We hope you didn’t forget or accidentally celebrate it a week early (why does it feel like it should’ve been last weekend?)! If you are looking for some last minute ways to celebrate, the city is here to deliver. So much going on, so much fun to be had. Get out and enjoy some of it! Beer. BBQ. A match made in summer heaven. If you’re in agreement, head on over to the Western Fair District, Canada Building. There will be beer, wine, spirits, BBQ, food trucks, live entertainment, demonstrations, seminars, and so much more! This is a 19+ event – no babies, toddlers, children or underage teenagers will be allowed in the show. A new block of tickets has just been released! This is Shania’s big Rock This Country tour with all of her biggest hits and new music. She’s just finished her two year gig in Las Vegas and is now bringing the music across North America. She will be at the Budweiser Gardens for two shows – Friday, June 19 and Saturday, June 20 at 7:30m. North by Northwest is having a huge sale at the Western Fair District Progress Building this weekend. All swimwear, clothing, footwear, outerwear, and accessories will be 30-70% off. For all of the dates and times, see the link above. The London’s Kids Expo is this weekend in Victoria Park. This event has free admission! There will be food vendors, exhibits, crafts, live performances, and so much fun! There will also be carnival rides – a ride all day pass is only $20 for kids and adults ride with them for free! What better way to celebrate Father’s Day than by spending it on the ball field with your favourite men. The London Majors are playing two games this weekend: Saturday at 7:35pm against Hamilton and Sunday at 1:05pm against Brantford. Play ball! This weekend is the London’s Kids Expo in Victoria Park. This annual event is perfect for families, catering to children ages 3 to 15 years old. There will be carnival rides, entertainment, food, exhibitors and more! Kids Expo has been coming to London for 20 years. This year they are bringing carnival rides with a Ride-All-Day pass for $20. Parents ride free with their children! There are also 25 food vendors on site to keep your bellies full, 65 retail exhibitors, crafts, live performances, a bike track, and lots of fun activities. See HERE for a full itinerary of events. The 2015 Pan Am/Parapan Am Games are coming to Toronto this summer! This is a very exciting time for Canadians and especially those of us in southwestern Ontario who haven’t otherwise had the opportunity to attend games at this level. WHAT ARE THE PAN AM/PARAPAN AM GAMES? The Pan-American Games are held every four years, one year before the summer Olympics. The Parapan-American Games follow immediately after the Pan Am Games and are for people with physical disabilities. Forty-one countries from the Americas will be competing in summer sports for the Pan Am Games and twenty-eight will be competing in the Parapan Am Games. The Pan Am Games begin in less than one month on July 10 and go until July 26. The Parapan Am Games begin August 7 and go until August 15. They will be held in venues all over the Greater Toronto Area including Toronto, Markham, Oshawa, Whitby, Milton, Mississauga, Hamilton, Niagara, and Simcoe County. Tickets are ON SALE NOW for events and celebrations. Most tickets are under $45 and some are even as low as $20. Tickets are half price for kids under 16 and seniors over 65. All tickets include FREE public transit to and from the event. Just like the Olympics, the Pan Am Games have a torch relay leading up to the games. The torch left Mexico where the last games were held and began making it’s way across Canada on May 30. This Wednesday, June 17 the torch will pass through London. Canadian decathlete Damian Warner will be carrying the torch through London and stopping at Victoria Park. The celebration begins at 5:00pm in the bandshell. There will be performances and entertainment until approximately 8:00pm. One of the best gifts that you can give your children is the gift of yoga. Yoga teaches children to control their body, their breathing and their emotions. The benefits of yoga for children are both physical and non-physical. It helps build strength, and improves flexibility, coordination and balance. It reinforces the mind-body connection by practicing mindfulness – an awareness of your thoughts and actions. Focusing on breathing gives children the skills to calm their bodies in stressful or upsetting situations. Whether you’re a complete newbie to yoga yourself or if you have your own daily practice or fall somewhere in between – now is the time to begin! Yoga is for everyone: young or old, fit or unfit, flexible or inflexible, laid back or high strung. Be your child’s best example by doing a yoga class together! 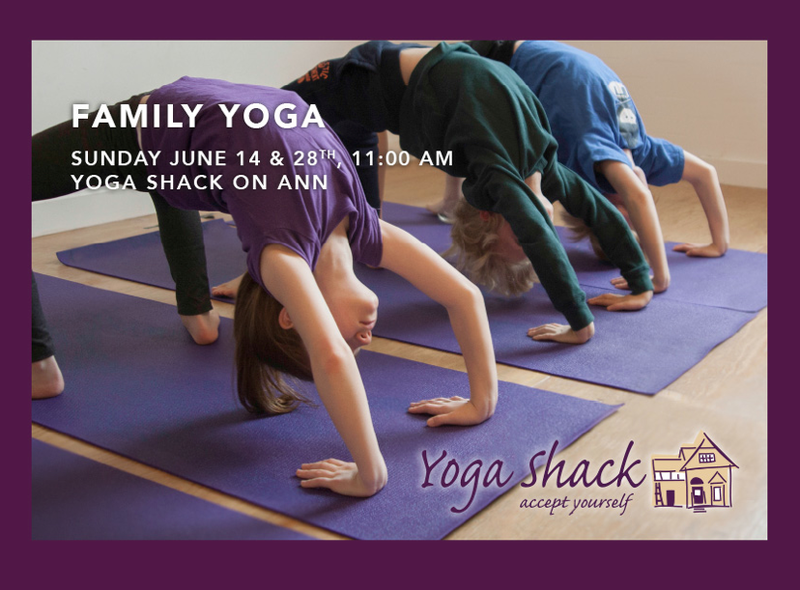 The Yoga Shack on Ann has Family Yoga classes TODAY, June 14 and in two weeks on June 28 at 11:00am. It is only $5 per person. Bring your own mats or rent them at the studio. Yoga Shack on Ann is at 203-140 Ann Street. You can find parking and the entrance on Piccadilly Street, off Talbot Street. The studio opens 30 minutes before class. Please arrive at least 15 minutes before class starts. Dress comfortably and bring a reusable water bottle. Namaste! Are you counting down the days until school is out? We sure are! Some schools are out tomorrow, some have another week, and the rest will be done on their heels. The end of school lunches is near, and that’s a pretty good reason to celebrate in my mind. This wonderful city seems to be in agreement because there is a lot going on this weekend! Festival season has officially begun with a bang. The Parkwood Children’s Daycare Centre is hosting their 7th annual Touch a Truck event at Rona North this Saturday, June 13 from 10:00am to 2:00pm. Admission is $5 per person. See a collection of amazing vehicles, from the driver’s seat! Honk the horns, push the sirens, and speak with the drivers. Food, refreshments, and children’s activities will be provided. If you have a child who is a client of Thames Valley Children’s Centre, you are invited to a day of fun and adventure at Carling Heights Optimist Community Centre on Sunday, June 14. This is a free event for all family members which includes a family swim, entertainment, pizza, treats, face painting and more! Please RSVP HERE by the end of TODAY. The London Fringe Festival is alive and running through this weekend. There are still plenty of great shows and artwork to take in, including Nuit Blanche on Saturday night. For a full list of theatres and performances, please see the above link. Saturday, June 13 is London’s car-free street festival along Dundas Street from Ridout to Wellington. The festival begins at 10:00am and will have live music from noon until 11:00pm and vendors all day long. The London Majors are playing the Toronto Maple Leafs this Friday, June 12 at 7:35pm. Bring the family and enjoy the historical Labatt Park. Sunday, June 14 is Fiesta London! the Mexican Festival at the Covent Garden Market. The festival runs from 11:00am to 9:00pm and will be featuring a whole day of events, Pinata’s, Taco eating contest, music, dancing, folklore, and more! You may be familiar with Pilates, but have you heard about the Barre workout? Barre studios are all the rage in the States and in the bigger Canadian cities and now you can do it here @ The Barre! At The Barre is a new Pilates, Barre and Fitness Studio in downtown London run by a one-woman powerhouse, Kristy Leblanc. BARRE CLASSES: Barre workouts are designed for all fitness levels that focus on balance, strength, and endurance. There are three types of classes – Barre Basics, Barre, and Yogi Barre, each of them challenging and conditioning your body with the elements of ballet and the roots of Stott Pilates. PILATES CLASSES: Stott Pilates is one of the best ways to tone and strengthen while giving you a great overall workout. At The Barre offers classes on the mat, classes on the reformer and classes with the cardio-tramp. The reformer can look intimidating to those who have never tried it (or at least it was to me! ), but think of it this way – it’s an entire workout lying down and how can that be a bad thing? The workout you will get is not at all passive. With body weight and resistance, the reformer is a classic for a reason. SEMI-PRIVATE/PRIVATE: @ The Barre offers both private and semi-private (2-3 people) sessions for those wanting an even more personalized experience. This option is perfect for anyone needing specific attention while recovering/healing from an injury, wanting to achieve personal goals, returning to fitness after a baby, or requiring a specific schedule to be met. CLASS SIZE: You cannot beat the small classes and personal attention that you get @ The Barre. For a workout that is so dependent on proper form and technique, the personalized attention that you get from Kristy is essential for the results you want. It’s relaxed, like you’re just working out with a few friends… because you are! Kristy is right there to help with modifications, adapt to your abilities, and push you just that little bit harder. POST NATAL CORE: Come on, moms. The core is the one area that we need and miss the most, and nothing wakes it up like a little (or a lot of) Pilates. The combination of all that stretching that your abs and mid section went through, with all of the lifting and hunching over that you do with your baby and toddler means that your entire core is likely in need of some TLC. Pilates and Barre will give your core that extra attention it needs to regain the strength you lost and rebuild those muscles to prevent injury and keep you fit for your family! FUN: The classes have great, upbeat music and are lots of fun! Kristy moves you through a full body workout at a pace that keeps you moving without getting bored. If someone had told me that I was going to love the Reformer, I would not have believed them, but it’s great! Throw in the cardio-tramp and you will be so surprised at how fun a workout can be. STUDIO: The studio is a beautifully redone building right downtown. They have FREE PARKING right outside the door. The studio offers everything that a large studio would offer, but with all of the personal attention that is unique to @ The Barre. THE WORKOUT: I fit a workout in almost every day, but after my first Barre class, I felt it! Move over Buns of Steel, because Barre is where it’s at! My only dance experience is the kind I would do on a Saturday night before I had kids, but this class makes you feel like an actual ballerina at the barre – grace, strength, and fluidity. There wasn’t complicated choreography, just classic moves that work your body from the shoulders to the toes. She says the hardest part is showing up for your first class, so Kristy is making it easy on you by giving you your first class for only $10. Pick the style of class and time of your choice and get there! Follow @ The Barre on Facebook to keep up on promos and classes. 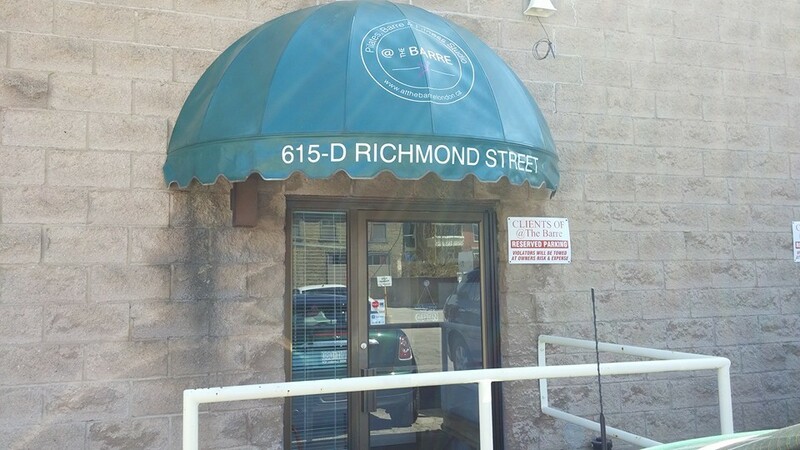 At The Barre is located at 615 Richmond Street, unit D. Find the parking and entrance in the back off Hyman Street. For the complete schedule and more information, see HERE. 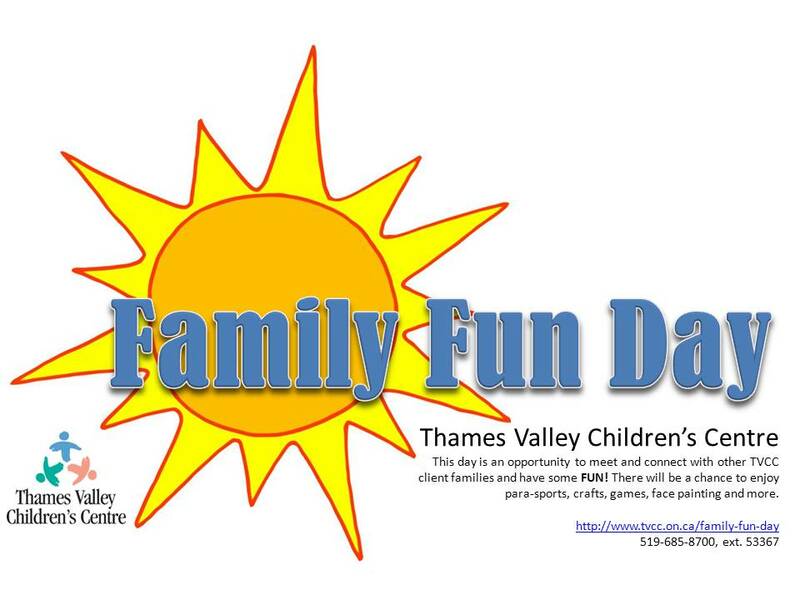 If you have a child who is a client of Thames Valley Children’s Centre then you are invited to attend a Family Fun Day! Come and meet other TVCC families, let your children connect with other kids and siblings like them, chat up the other parents. This is for all members of your family, all ages! Para-sports, crafts, games, face painting, and more fun! Star Wars characters, and Elsa and Anna will be there! Pizza lunch will be provided, cotton candy, popcorn and snow cones! Register NOW with EventBrite for the event and for the family swim if you’d like to splash in the afternoon. This is a FREE event, but you do have to register in advance to let them know who is coming. The first weekend in June is loaded with excitement isn’t it? It’s the last month of school and the weather is out of excuses – it has to be warm! To celebrate, London has some incredible things going on. If you were one of the lucky ones to get tickets, tomorrow night, Friday, June 5 at the Bud Gardens is going to be amazing! The concert begins at 7:30pm with Foy Vance opening. For 33 years, London’s oldest community festival has been taking place in Old South. Join the party on Saturday, June 6 on The Green (the field beside the old LDCSB building at 165 Elmwood Ave) for live entertainment, food, so many kids activities, and over 90 local craft and plant vendors. The event runs from 10:00am to 5:00pm. A full itinerary can be found HERE. Can you believe it’s time for the City of London’s outdoor pools to open? The spray pads have been open for a few weeks now, but as of this Saturday Thames Pool, Stronach Pool, East Lions Pool, and Westminster Pool are open for weekends only. For more information, see HERE. The Majors are playing this Friday, June 5 at Labatt Park against Kitchener at 7:35pm. They are playing again this Sunday, June 7 at 1:05pm against Barrie. Tickets for both games are $8 for adults, $6 for kids and seniors. The London Fringe Festival is on now until June 13. Forty-five theatre companies will be performing 350 times along with 35 visual artists at nine venues over twelve days. See HERE for all of the shows on stage, HERE for the visual artists, and HERE for all of the ticket information. Hobby and Toy Central Grand Opening! London’s latest and greatest toy store, Hobby and Toy Central, is having their Grand Opening celebration tomorrow, Saturday, May 30! 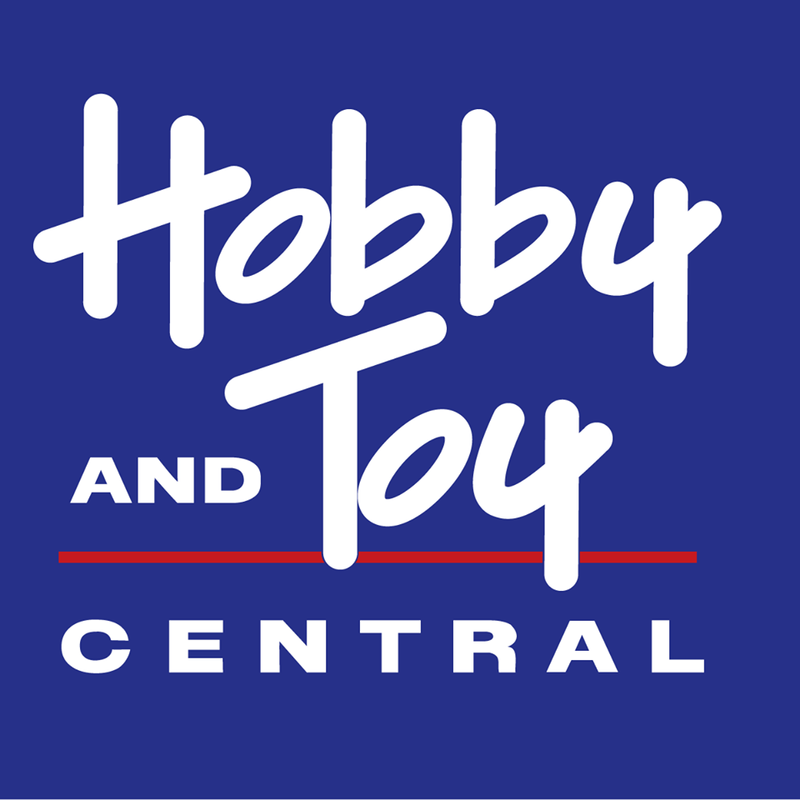 This will be the fourth store in Ontario for Hobby and Toy Central, as well as their online store. They bring to London a focus on selection, quality, and service to help every parent, grandparent, aunt, uncle, and child find the perfect toy! Are you intrigued? Come see for yourself what makes them special. The store is open from 9:30am to 6:00pm. The festivities begin at 10:00am and go all day. There will be live entertainment with Drew Ripley, a Rubik’s Cube Demo with Eric Limeback, marshmallow shooters, RC Helicopters, slot cars, and board game demo’s throughout the day. For specific times, see HERE. Temporary tattoos, popsicles, kids playstations, and more than 100 items will be given away from Playmobil, Breyer, Plasma Car, and Carrera. A fantastic raffle with more than $1200 in hobbies and toys to be won!